Today we’re featuring Del Ray Cakery in our Eight Days of Del Ray Holiday Giveaway. Throughout the month of December, we’ve partnered with several members of the Del Ray Business Association to offer giveaways to our readers. Keep reading to find out how to enter! 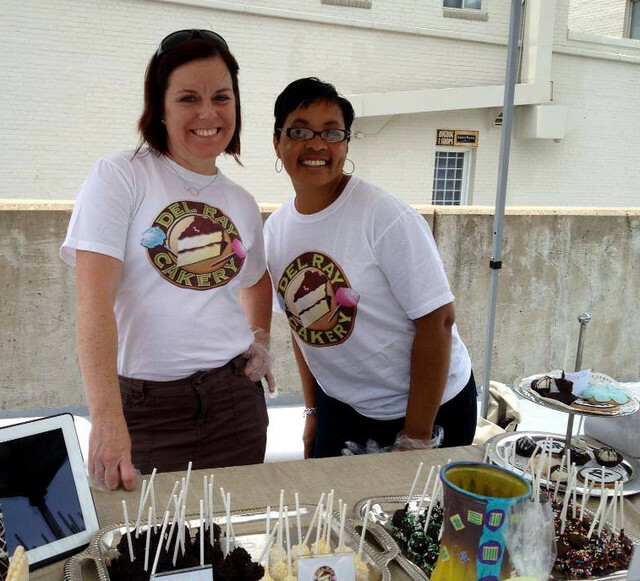 Katie and I have enjoyed many a cake pop, truffle, and cupcake from Del Ray Cakery at our own and friends’ gatherings. Rebecca is a also a past sponsor of DIY Del Ray and last winter, she brought a vanilla cake with butter cream frosting for everyone to taste and cake pops to swap to our Del Ray Food Swap. When in a pinch, we also know we can find a cake pop for sale at Artfully Chocolate on the Avenue. Before starting her own business in Del Ray, Rebecca was a pastry chef for many years at The Blair House, the President’s guest house. There, she created desserts, pastries, and fine chocolates for presidents and heads of state. She can make these delicacies for you too. Today, more typically, she creates absolutely stunning cakes for weddings, birthdays, and other special occasions. 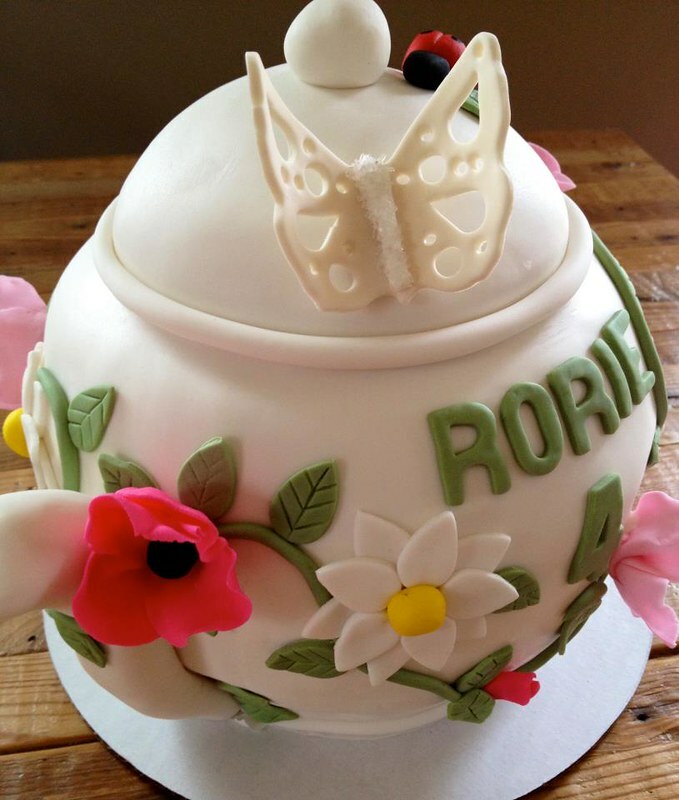 She does amazing 3-D cakes with perfectly rendered fondant details. Rebecca makes each cake pop by hand, dips them in Belgian chocolate, even spikes them, upon request, with bourbon or scotch. Oh my. You can see a variety of the sweet treats Rebecca has made for weddings, birthday parties, anniversaries, baby showers, high tea, garden parties, dinner parties, corporate gifts and events, and more, on her web site. 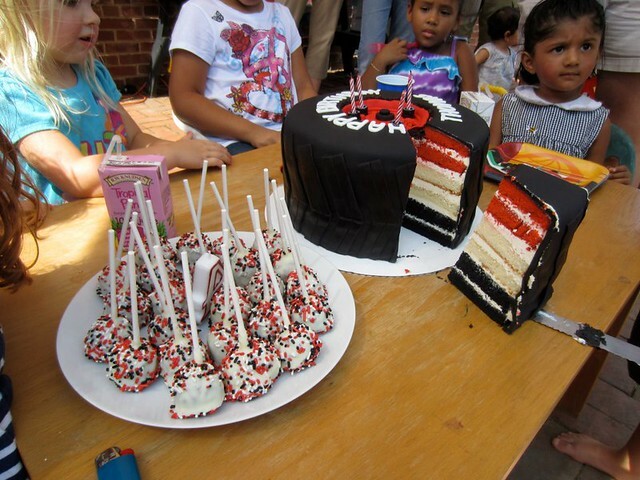 PRIZE: One dozen cake pops and $10 off a decorated cake. PRIZE REDEEMABLE: We will send Del Ray Cakery the winner’s contact information and she will be in touch with you. You will need to use the gift certificate within the year. For a cake order, she needs a few weeks notice. WHO’S ELIGIBLE: This giveaway is open to anyone who lives near the Del Ray area of Alexandria, VA, who can redeem the gift in person. Yes!!! Her cakes are the best. I tried her cake at a diydelray food swap and it was amazing. I would use this to bring in treats for my coworkers for the holidays! Those cakes look amazing! I’m a huge fan of quality cakes and desserts, why waste the calories on sub par food? I would take the treats to my family in Ohio, the cupcake trend hasn’t quite caught on in their little town. Looks yummy! I would love to share these treats with my family! Ooh – would love to share the cake pops with our neighbors. We have the best street in Del Ray (okay, I know everyone does…) Del Ray community is the best! The cakes are beautiful! I would use the gift certificate to get my cupcake fix! I would use this for my daughter’s birthday! I sampled her cake pops at an event in Old Town and they were delicious! I would use the gift certificate for a birthday cake for my granddaughter! Her cakes are delicious. I have tried her cakes and pop caked as well. If I do win will give the delicious treats to my daughter’s school. Yum! I’d use this for my daughter’s dedication in the spring! Have heard such rave reviews and would love to try!! This would be a wonderful addition to my New Year’s Eve party. Every year I host a New Year’s Eve party for my friends and neighbors and this year’s theme is a murder mystery a la Mardi Gras. Wow, those look delicious! A gift certificate would certainly add to a great party. Yum! Those cake pops look amazing! I’d love to use the gift certificate this spring when our first baby is due! Thanks for this great prize! I would love to win something! 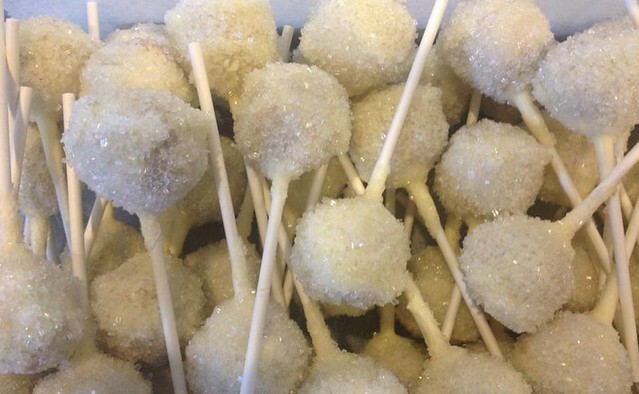 I could bring cake pops to my holiday potluck at work! I love these! 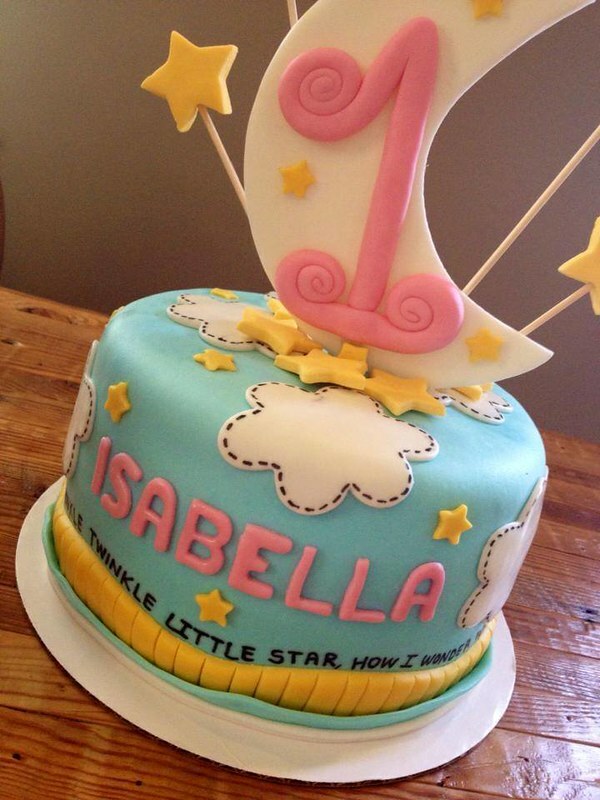 I would get a cake for my daughter’s first birthday coming up in a few weeks. We love fancy, yummy cakes and love to support the neighborhood! I would love to use it to buy some yummy cake pops for a holiday party coming up soon.